We have found an unpleasant problem with one of Microsoft security updates released in July. 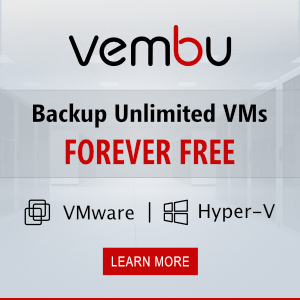 We mean KB3170455 released on July, 12, 2016. After the installation of this update, the problem of network printer connection may appear in the domain. 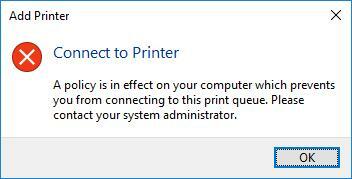 A policy is in effect on your computer which prevents you from connecting to this print queue. Please contact your system administrator. Do you trust this printer? When clicking Install driver, the UAC window appears prompting to enter the administrator login and password. Although, earlier users could easily connect these printer (the policy that allows common users to install printer drivers without the administrative privileges). Having compared the installed updates on the problem computers, we have found that the issue appears on the computers having the KB3170455 (MS16-087: Description of the security update for Windows print spooler components: July 12, 2016) update installed. Indeed, after this update is deleted, printers are connected correctly. But there is nothing wrong with the update, since it fixes a certain critical vulnerability in Windows print spooler. 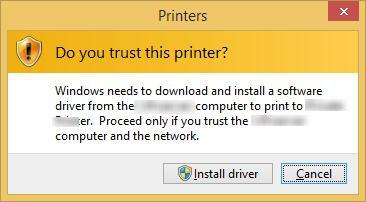 The update also suggests showing a warning if a user tries to install untrusted or unsigned printer drivers. In Windows 10, this update is integrated into the cumulative update that couldn’t be rolled back. So you won’t be able to solve the problem by simply uninstalling the update. To substitute the drivers on Print Servers for package-aware ones (Package-aware V3). You can find out whether the driver is package-aware using Print Manager. Open the Drivers section, if the driver is package-aware it will have the True status in the Packaged column. You will only have to enable Point and Print Restrictions policies (in Computer Configuration > Policies > Admin Templates > Printers and User Configuration > Policies > Admin Templates > Control Panel > Printers) and check Do not show warning or elevation prompt. In addition, specify the FQDN names of trusted Print Servers. If the drivers are obsolete and could not be updated, it is recommended to preinstall them on the client PCs. In this case, there will be no problems with printer connections. Note. There is a little trick for Canon, Sharp, Konica Minolta printers that makes a system think that the driver is package-aware. To do it, open the HKLM\System\CurrentControlSet\Control\Print\Enviroments\Windowsx64\Drivers\…\Driver name\ branch of the registry on the Print Server and change the value of PrinterDriverAttributes key for the specific driver by adding 1 to the current value. In my case, the attribute value has been equal to 5, and I have changed it to 6. The same has to be done for the driver attribute in HKLM\System\CurrentControlSet\Control\Print\Enviroments\Windowsx NT x86\Drivers…\Driver name\. After the restart, Canon network printers start to connect without any warnings. Deploy the certificate of the signing publisher to client computers. This way the driver can be installed because the publisher is trusted when using point and print.